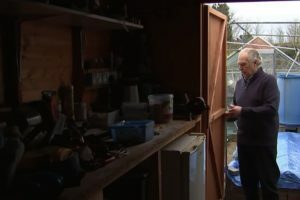 Whether it’s trying to open that rigid “clamshell” plastic packaging or finding a container to store pasta, you most likely have the tools somewhere in your home. 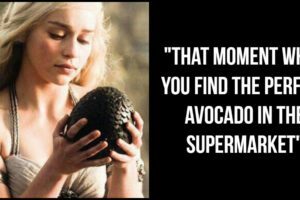 Here’s a list of 17 kitchen hacks and tips to save a bit of money and help make your life easier in the kitchen. 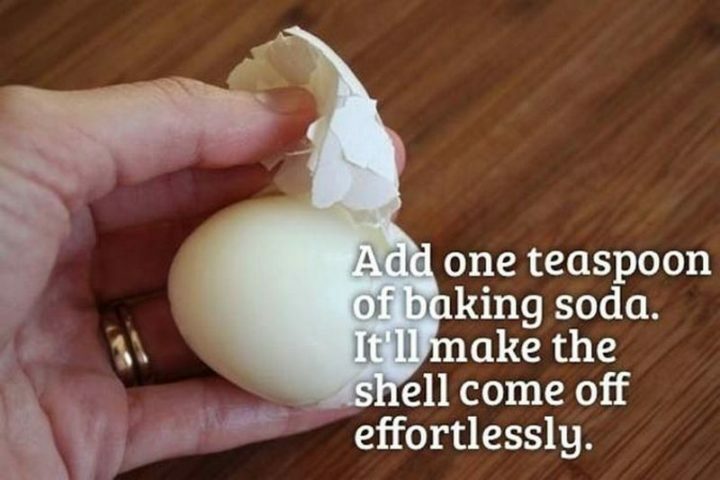 1) Slip egg shells off with ease by adding baking soda to your water. 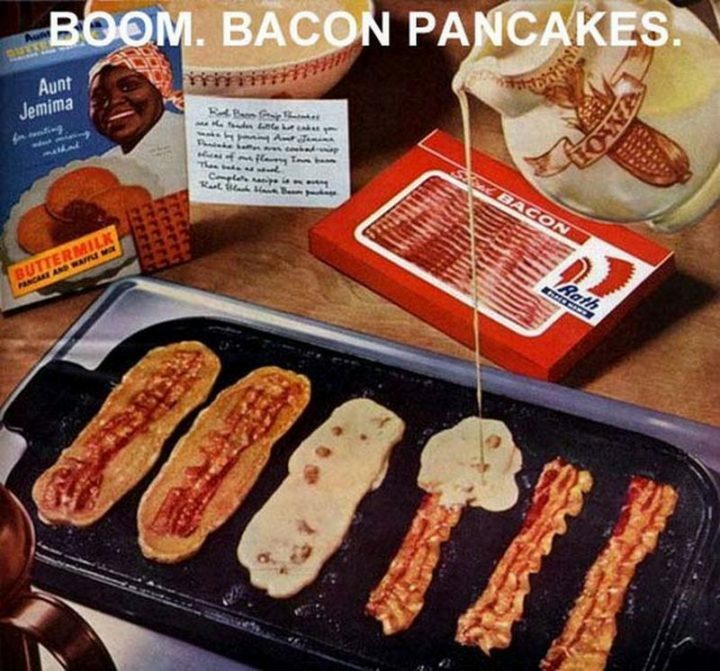 2) Combine two favorite breakfast items into one convenient package, bacon pancakes! 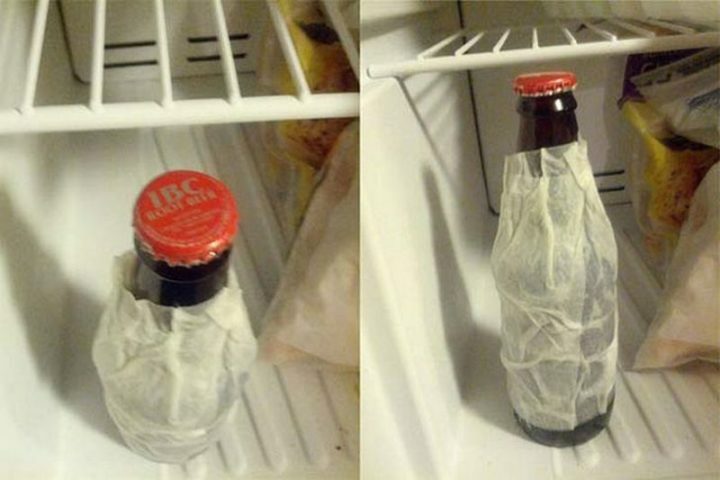 3) Wrap a wet napkin around your beer and get nice cold beer in only a few minutes. 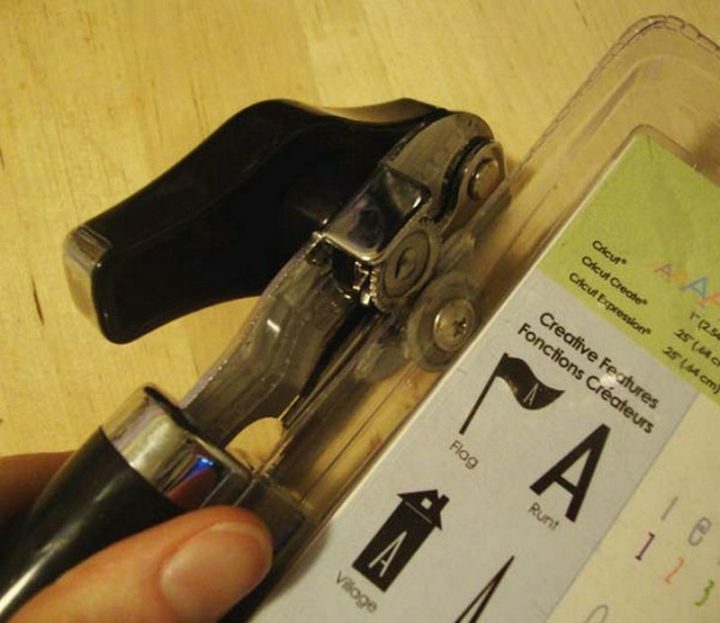 4 ) Don’t waste money on gadgets to open plastic packaging, use your can opener! 5) Have store hangers in your closet? 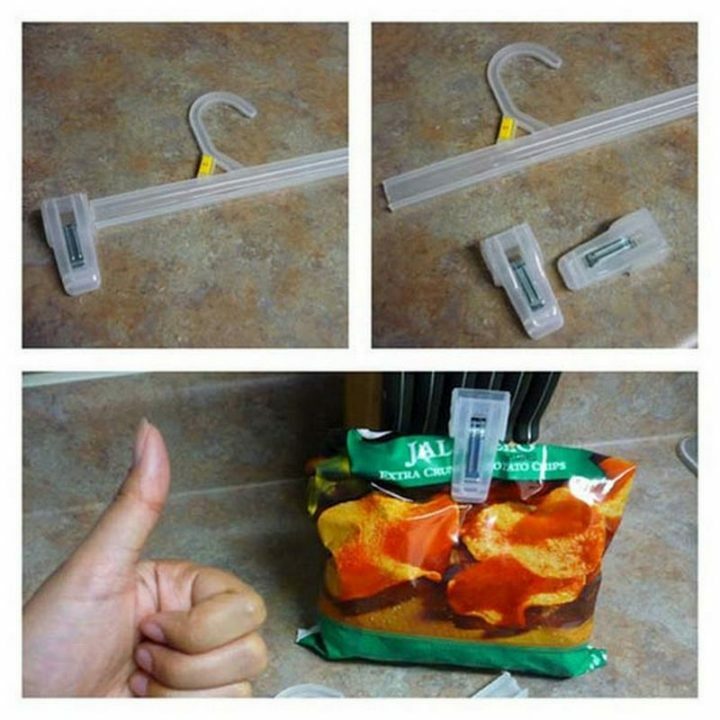 Make DIY chip clips out of them. 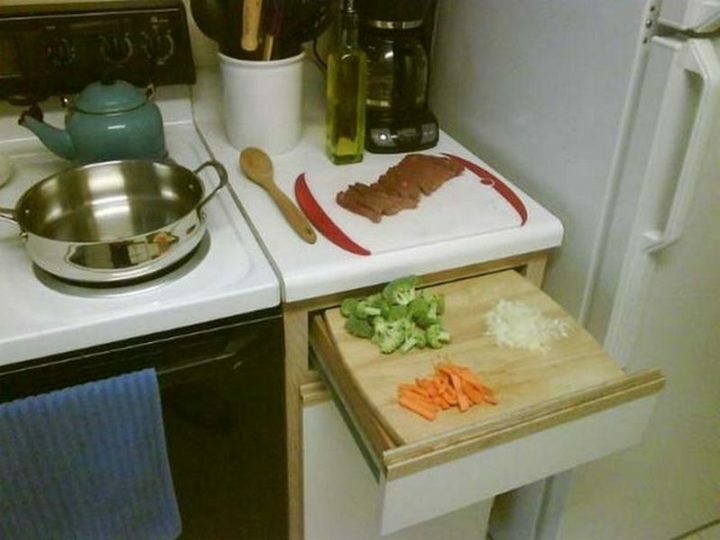 6) Place your cutting board on an opened drawer to add extra space while cooking. 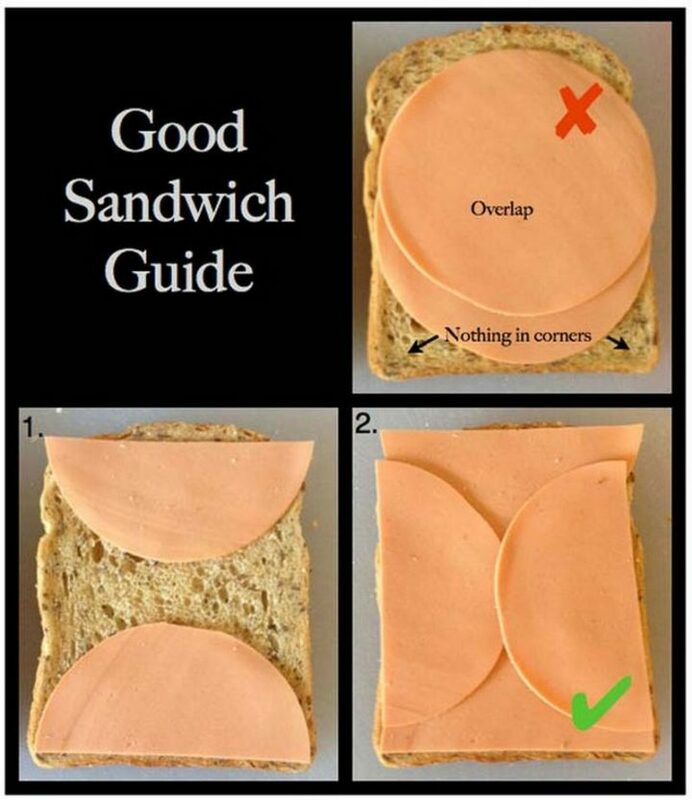 7) Increase your meat to bread ratio with this tip! 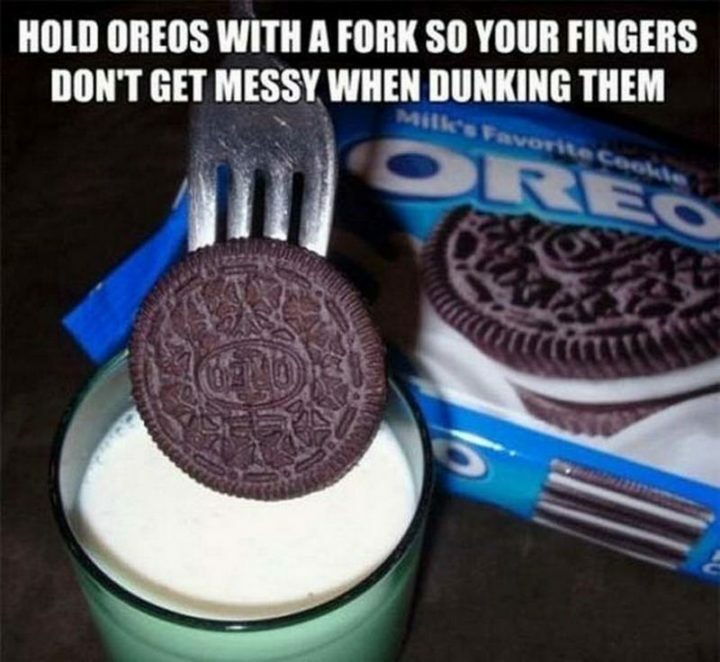 8) Dunk your Oreo with a fork and don’t get your fingers wet. 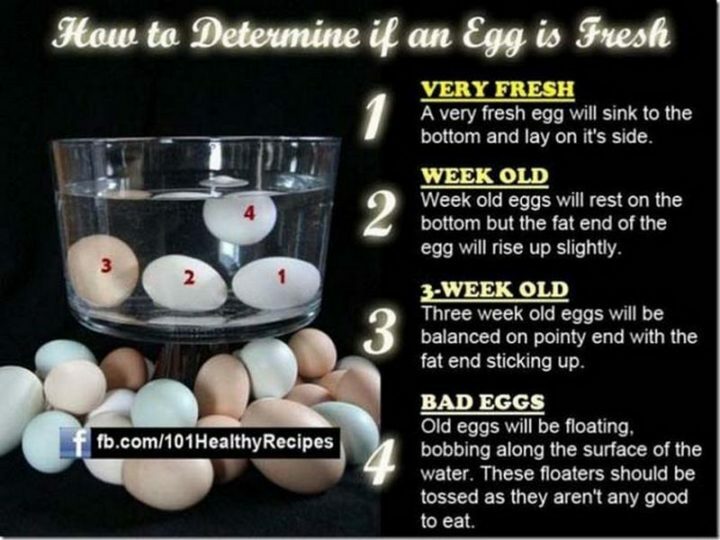 9) Do the float test to find any bad eggs. 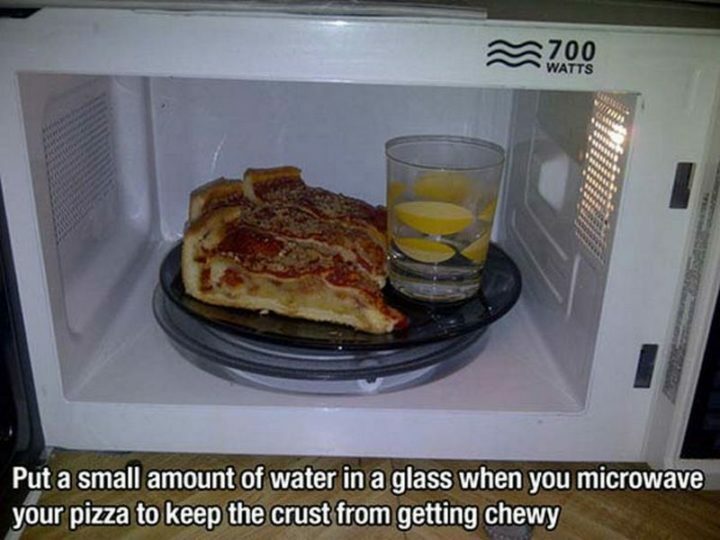 10) No more chewy crusts by placing a glass of water in the microwave. 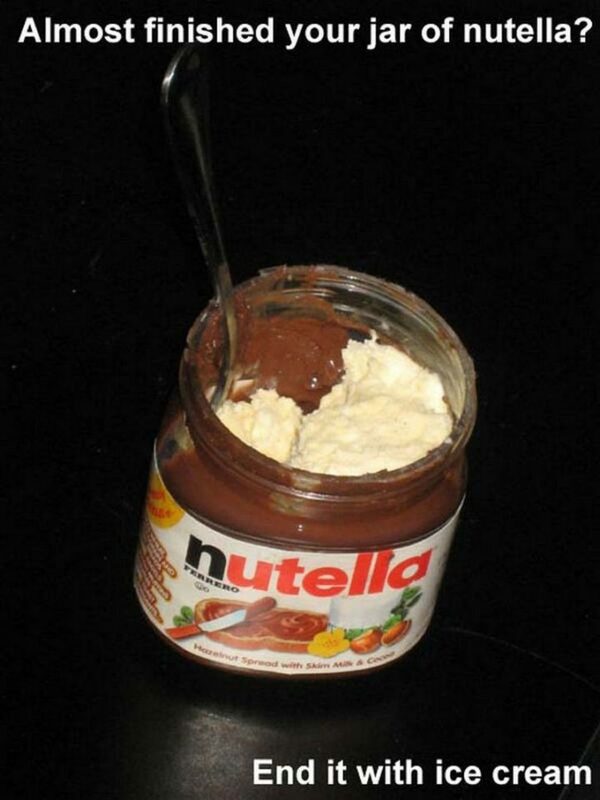 11) Add a scoop of ice cream to your almost empty jar of Nutella for some ooey-gooey goodness. 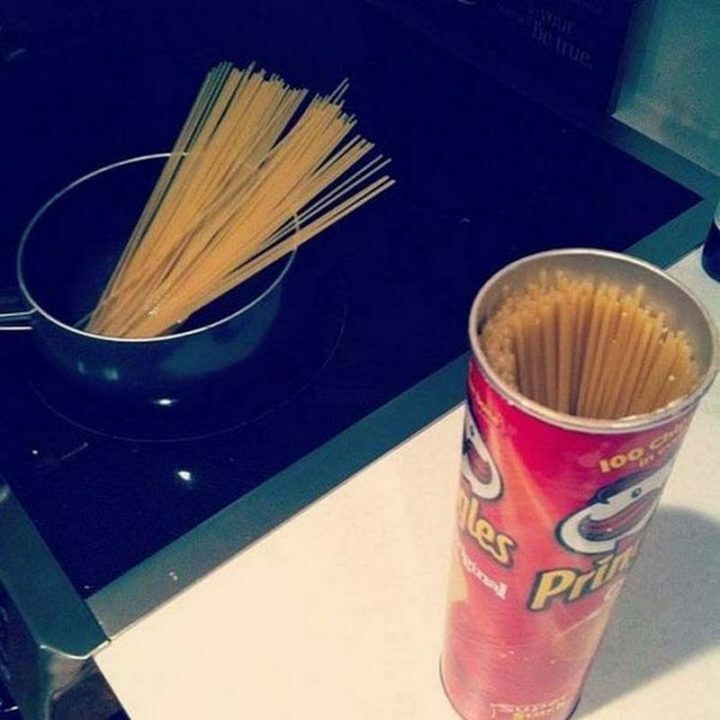 12) Save your Pringles containers and use them to store pasta or a variety of things around the house. 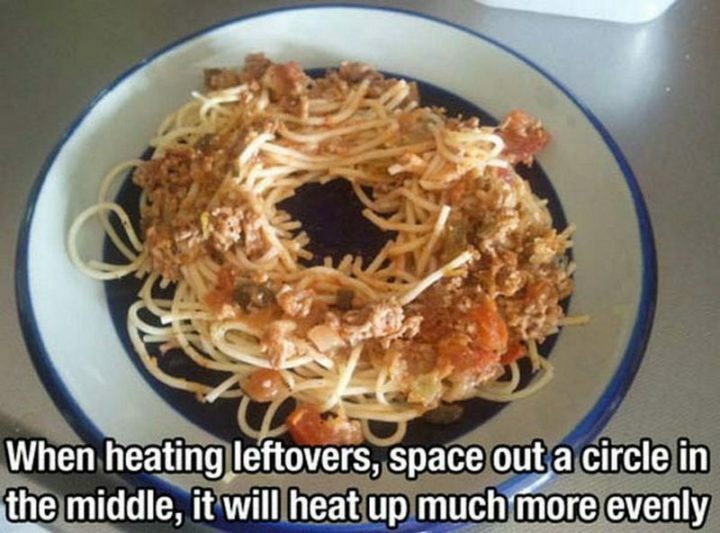 13) Space out a circle when microwaving leftovers for even heating. 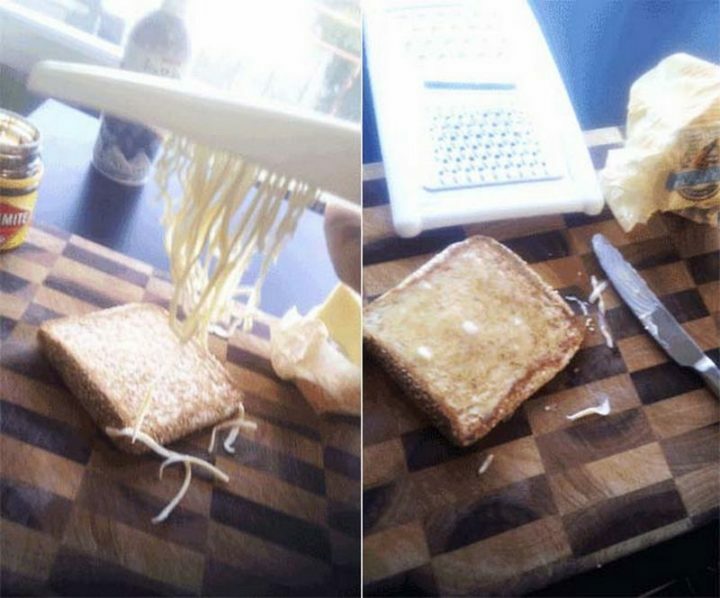 14) If your butter is frozen, just shred it instead! 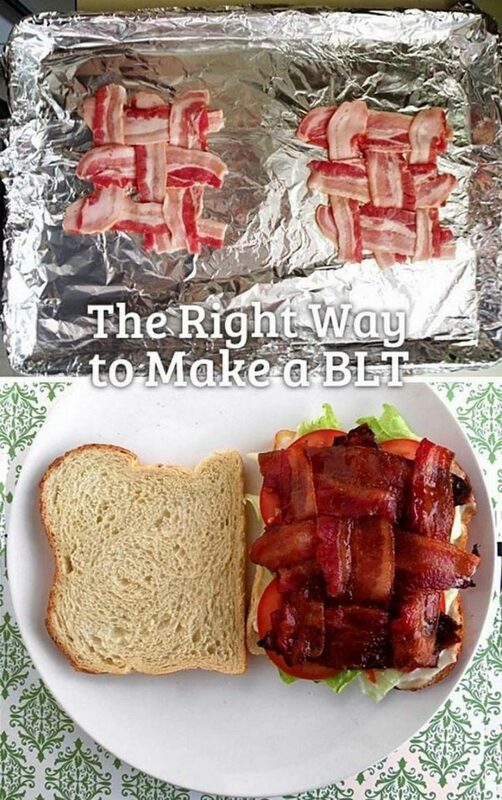 15) Now, this is how you use kitchen hacks to make a BLT and keep the bacon from falling off your sandwich. 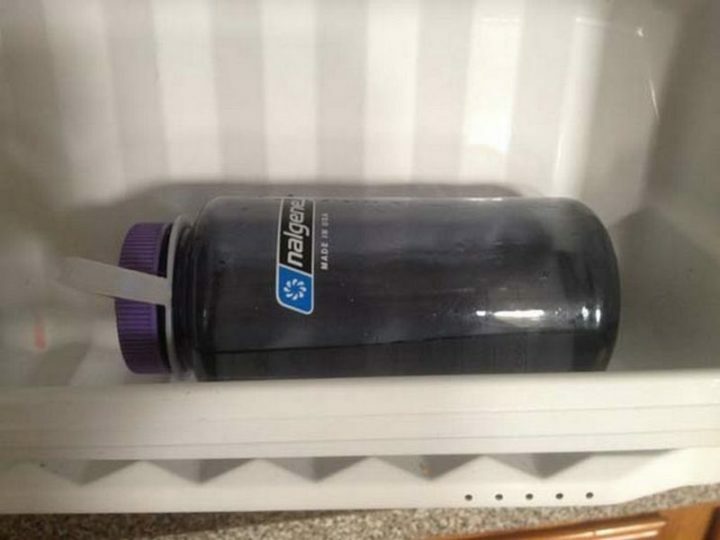 16) Fill your water bottle halfway and store it in the freezer on it’s side for quick ice water. 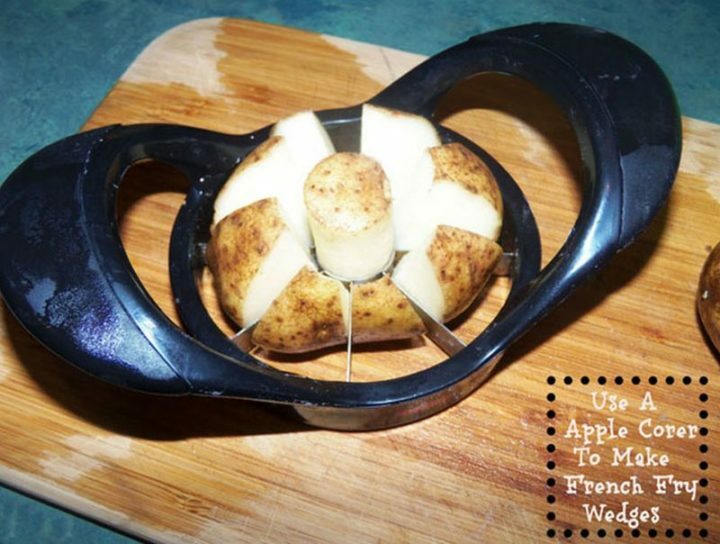 17) Use an apple corer to make French fry wedges. 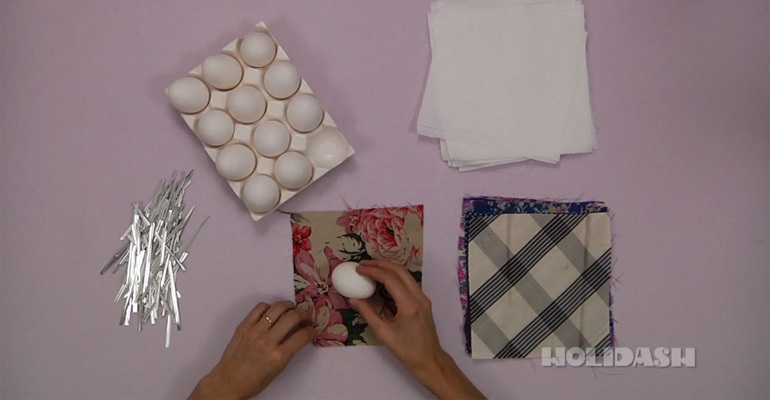 If you enjoyed these kitchen hacks, take a look at these useful storage tips to help organize your home. 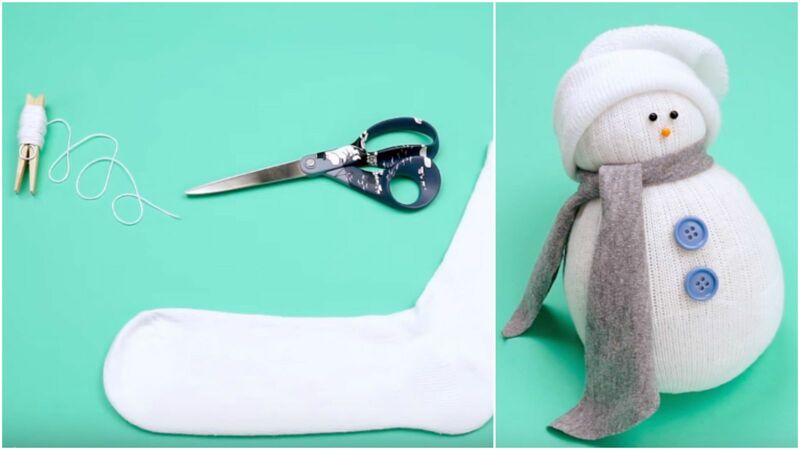 Please SHARE these kitchen hacks with time and money saving tips with your friends and family. 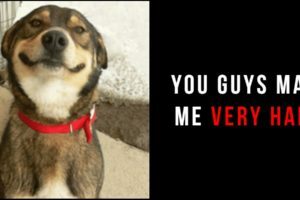 They’ll love ya for it! 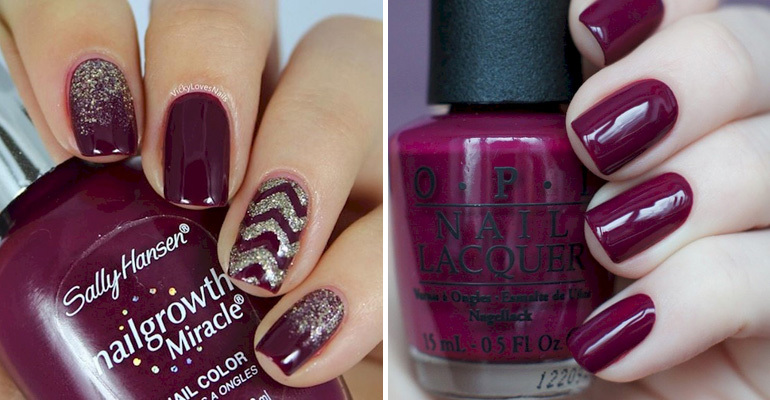 13 Plum Manicures That Are Perfect for Fall. 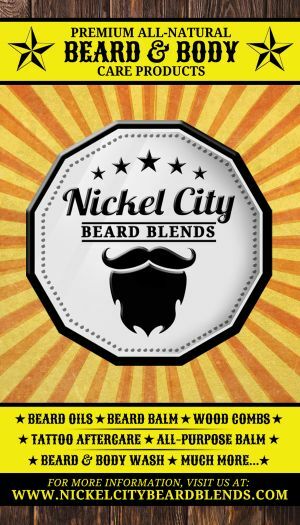 #6 Looks Gorgeous!